Portlite Windows and Port Screens specialise in decorative steel security doors, grills and windows. Portlite also provide top quality security and screen doors, aluminium windows and doors, wrought iron doors and grills, shower enclosures, roller shutters and the new range of products. Decorative Steel Windows & Grilles Portlite's extensive range of quality steel security windows and grilles provide all customers with total security while also adding value to your home or office. You can choose from standard designs or you can take advantage of Portlite's free design service & have your window individually designed. 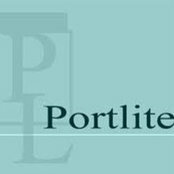 We Provide Portlite provide customers with free design services, help, advice, professional installation, full ongoing maintenance and repairs, all designed to ensure you receive the right product at the right price.